A few weeks back, we shared a post about “formal vs. informal emails”, and we can think of this as a bit of an extension on that, as the terms we’ll cover can be used in written just as easily as they can in spoken English. When it comes to the richness of a language’s vocabulary, it’s a safe bet to say that English is at or near the top. Granted, it’s debatable, but I think we can all agree that there’s a huge range of ways to say pretty much anything in English. Or better, a wide variety. Or a significant choice. Or if you prefer, lots. Other linking words are available, too, but they tend to be more specific. ‘Likewise’, for instance, can be used when linking similar things, while ‘however’ introduces a contrast. If you’re quoting several sources or people, you might find yourself using ‘said’ or ‘says’ a lot. Depending on the context, you may want to change the intensity of that. Whisper (speak softly/quietly) is quite different from shout, scream, yell, or holler (loudly), while mention (general reference), inform (more direct than mention, but less than instruct), and exclaim are all quite distinct as well. Bear in mind that some of these are specific to particular situations. For example, it would only make sense to use ‘argued’ if the person quoted is arguing something! Let me check on that for you/us. That requires a bit more research/investigation. As everything, there are myriad possibilities, and some will depend on how you want to conclude. In some cases, you don’t need to signal that you are reaching a conclusion. There are a number of ways that are subtler. That also depends on whether or not you are writing a paper or giving a presentation. Maybe it’s just me, but this bothers me to no end. I’m not sure at which point in the last years this become common business jargon, but depending on when and how it’s inserted into an email it can be somewhere between rude and downright passive-aggressive. I look forward to your answer/reply. Tell me I’m wrong in the comments section and I’ll happily hold this debate with you, of course. While there are some communications that have to use plain language to be accurate, day-to-day communication can get boring. There are only so many “Sounds good” and “Let me know” emails, texts, and Slack messages you can send and read each day without your eyes glazing over. 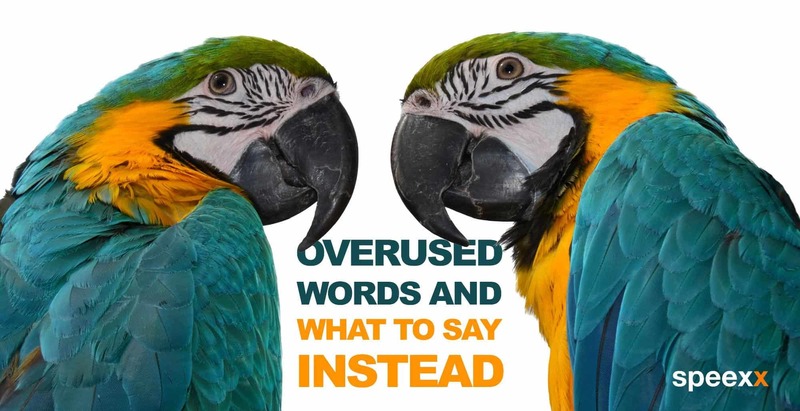 It’s not about showing off all the words you know, but adding a bit of variety is a great way to show your true self and the range of interesting… errr…, wonderful, great, awesome, spectacular, remarkable ideas that you have!